As Halloween was approaching, our YES Abroad students in Banja Luka eagerly decided to share some Halloween spirit with children and their peers. 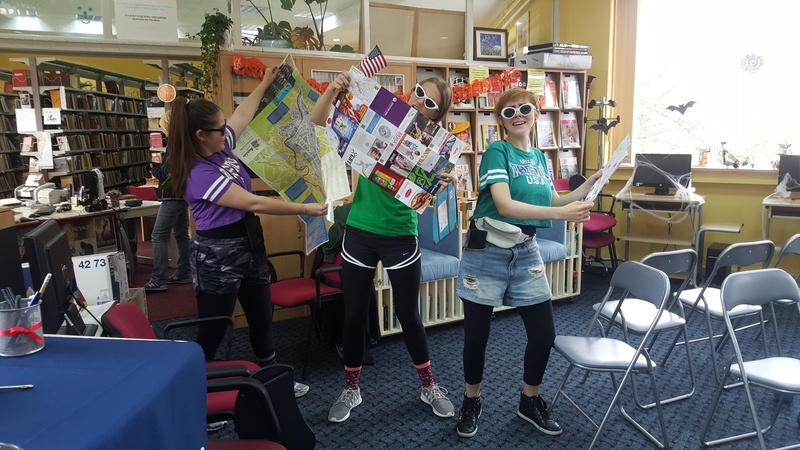 At the American Corner in Banja Luka, Bryca, Chloe and Ella facilitated activities for children who came prepared, all dressed up in their costumes! 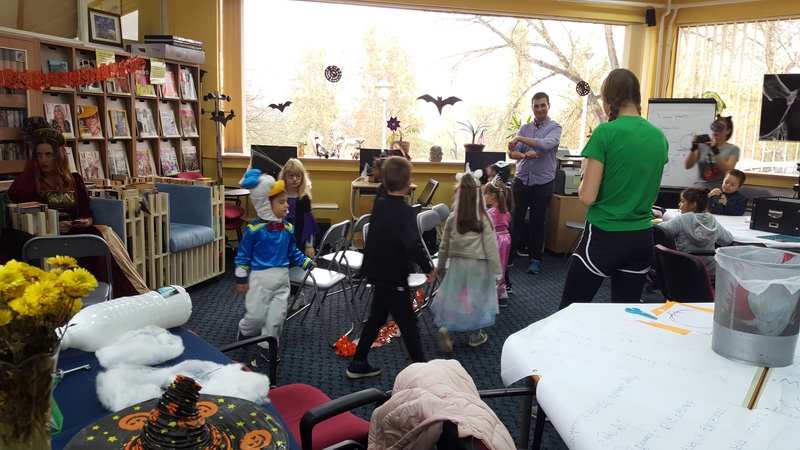 Some were ready to join Ella and play musical chairs with Halloween music in the background, while others enjoyed a “Pin the Face on the Pumpkin” game with Bryca. 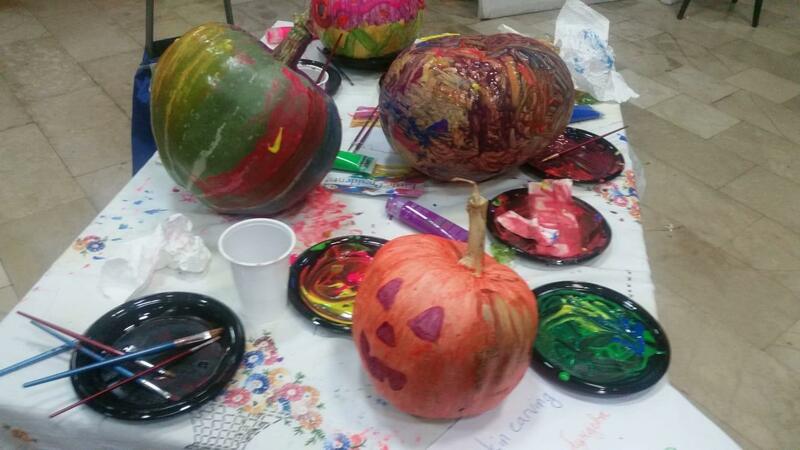 With her talent for art, Chloe offered kids face painting with Halloween designs, all of which the children enjoyed! 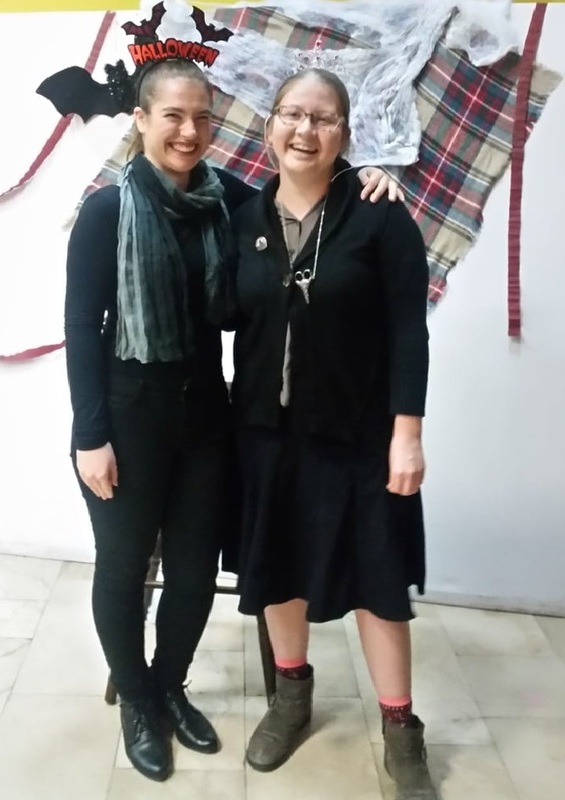 None of this would have been possible if not for the ideas and assistance of the American Corner Director, Sonja Pržulj, and another colleague of ours, this year’s English Teaching Assistant in Banja Luka, Lee Wilson! 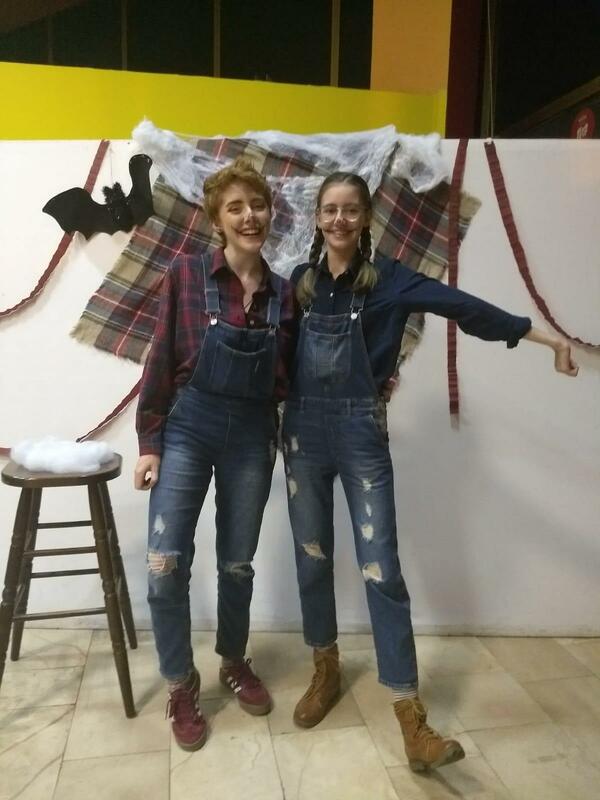 You might be wondering where the pumpkins were – those were taken to another venue, a youth center in Banja Luka where our YES ’16 alumna, Jelena Pilipović, organized a Teen Halloween Party together with Chloe, Bryca, and Ella. “This was an exciting opportunity for us to show people here what the U.S. tradition for Halloween is like, but it was even more fun adapting it to this context. As we realized some of the food we wished to have couldn’t be bought here, we decided to be creative and improvise—so, we made it!” said Bryca. “Even though we may have been miles away from home and people we usually spend our Halloween with, participating in all these activities did make us feel at home in a new way. I was delighted by the interest for American culture that people showed here”, concluded Ella. Thank you to everyone who helped us to share the Halloween spirit in Banja Luka this year. We look forward to many more holidays spent together! And, YES, they did bring pumpkins!